The objective of this study was to report the prevalence of back pain among a group of Thai traditional medical students. A cross-sectional survey study was conducted among 203 Thai traditional medical students (years 1, 2, 3 and 4) in Ubon Ratchathani Rajabhat University. A questionnaire for the study, including Thai multi-level Roland-Morris Disability Questionnaire and visual analog pain scale were used to collect data about disability and pain. 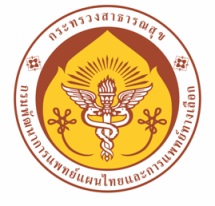 The results of this study found high prevalence rates of back pain among Thai traditional medical students’ lifetime (74.88%), 1 year (73.40%), 1 month (51.23%) and 1 week (19.21%). A significant level of pain was not found between years; however, the fourth-year students had significantly more back disability than other students.